gear and do another 2 hours downtown at Reggie's Club. Mike was primarily a guitarist, but also played trumpet, blues harp,keyboards, and lap steel. 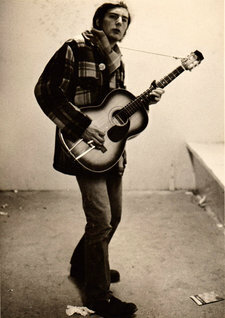 He was a great bluesman, and in recent years also became passionate about vintage Country. By the mid-70's, Mike was back in Powell River. Bands he played in during this time included Peak, New Directions, and the River City Band. Mike eventually moved to Edmonton, where he played with the Twin Creek Band, and for eight years with Characters. His kind and gentle ways, his dry wit, his great musicianship and ability to connect deeply with an audience will be missed by many."